models in K19 cummins family series. The model range from 425-700HP. With CCS, BV marine class and IMO tire2 emission. 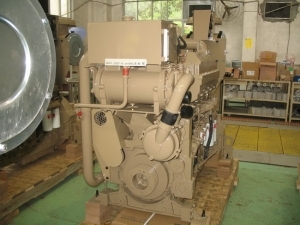 Rating Conditions: Cummins KTA19M3 marine diesel engine Ratings are based upon ISO 8665 reference conditions; air pressure of 100 kPa [29.612 in. Hg] air temperature 25°C [77°F] and 30% relative humidity. Power is rated in accordance with IMCI procedures. 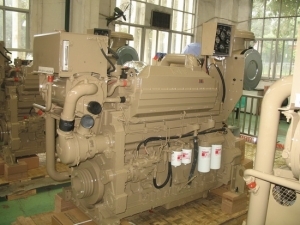 Cummins KTA19M marine engine Fuel consumption is based on fuel of 35° API gravity at 16°C (60°F) having LHV of 42,780 kj/kg (18,390 Btu/lb) and weighing 838.9 g/liter (7.001 lb/U.S.gal). Propeller Shaft Power represents the net power available after typical reverse/reduction gear losses and is 97% of rated power. 1. 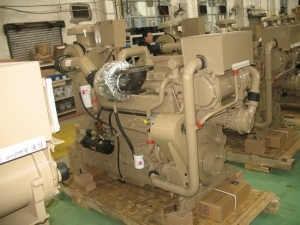 Cummins KTA19M3 marine engine Brake power kW / (HP) 4. KTA19M Fuel Consumption for Brake and Shaft power. 2. 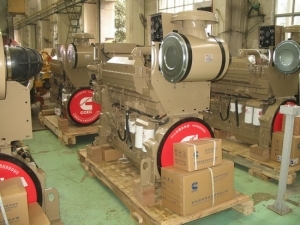 KTA19M3 Shaft power kW / (HP) with Reverse / Reduction Gear 5. Fuel Consumption for Typical Propeller. 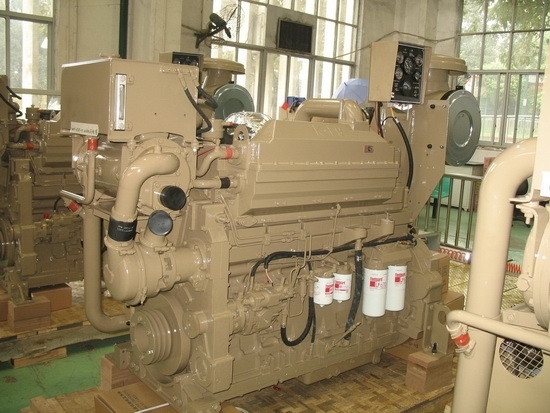 The KTA19M3 propulsion diesel engine can match with 300 or T400 series marine gearbox, most common use for fishing boat, yachts, ferry etc.